“Can you think of a reason why 2-in-1s should be restricted to 15-inches and under? I know I can’t, and it seems that Dell couldn’t either…” said Laptop Magazine about Dell’s new – and the world’s first 17-inch 2-in-1 – Inspiron 17 7000. 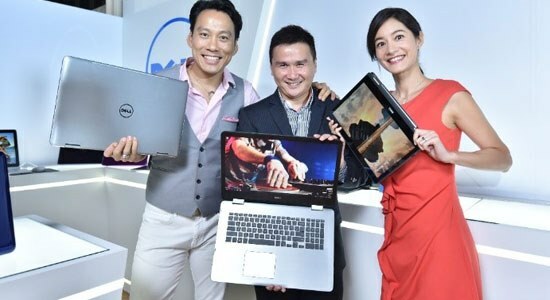 The 17-inch Inspiron 7000 was the standout product at the launch of Dell’s largest lineup of 2-in-1s ever at Computex 2016, held in Taipei, Taiwan, with coverage from CNET, The Verge, Engadget, TechRadar and more. The Inspiron 17 7000’s 360 degree hinge allows for versatility – not only can users use a performance notebook that is basically a portable desktop but they can flip it to tent or media mode and binge-watch their favorite series. But the Inspiron 17 7000 certainly wasn’t alone in drawing the eyes of guests. 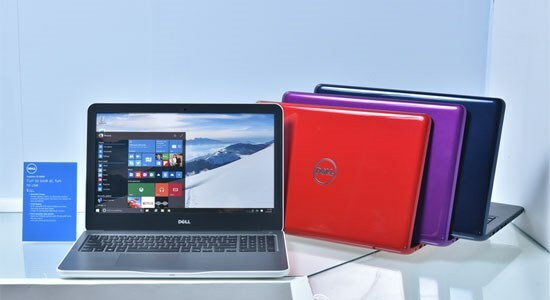 The latest lineup of Inspiron 5000 Laptop Series drew a lot of attention both for the seven different color options (including Midnight Blue, Bali Blue and Tango Red) that Digital Trends called “visually stunning” but also for allowing customers the option of Intel and AMD processors. Check out the official news announcement in the Dell Newsroom!